So you’ve bought a Kindle. Well you’re not alone as it is estimated that Amazon sold around 1.7 million Kindle Fire devices in the first quarter of the year – although the company refuses to release official figures. One of the main reasons why people choose to invest in a tablet is to download and make use of the latest apps, from movie software to games. Once you’ve got your hands on one of these gadgets you’re going to want to find a Snugg Kindle Fire cover to keep it safe and then plenty of apps to keep you occupied. While the Amazon appstore is the only official way to find apps for the Kindle, there are other third-party providers out there. But why go anywhere else? Well the main reason is that you will find a wider range of apps available elsewhere. How come? The main reason is that commercial interests make it undesirable for Amazon to offer its customers access to these apps as a matter of course. For example, as journalists at Business Insider found out, it is quite possible to download the Nook e-reader app onto the Kindle Fire, something that Amazon would of course never make available through its own store. So when it comes down to it, while the Amazon appstore has plenty of top quality content for the Kindle inside, if you want a free choice of what available apps you want then you’ll have to go third-party. Ok, so it’s not actually that technical, but you will need to be careful to make sure that before trying to download apps from third-party sites that you ensure that you change the settings on your Kindle Fire – otherwise it simply won’t work. Go into Settings, More and then Device and ensure that the section entitled “Allow installation of applications from unknown sources” is switched to on. You’ll then get a warning to tell you that this course of action might not be safe. If you’re satisfied then you’re ready to get some new apps! 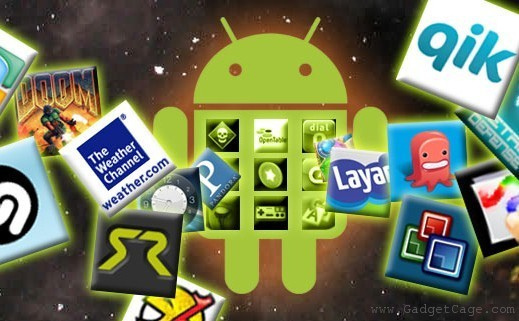 GetJar is said to be one of the best third-party Android app stores out there at the moment and the firm claims to have in excess of 100 million people using its services. Download the app onto your Kindle Fire and soon you’ll have access to a huge range of new apps. If you’re a seasoned computer nerd, then you’ll no doubt have encountered viruses and malware in the past. Malware can destabilise or even disable your computer, tablet or smartphone device – so you need to be on your guard against it. What’s more, malware can also be used to allow hackers to gain access to your device, thereby helping themselves to your sensitive personal information. Ensuring that all your computers, laptops and mobile devices are as secure as possible should be a basic obligation for every user, but it can seem a little bit confusing at first for those of us who aren’t experts on the subject. Once you’ve bought a new Android device – along with all the other accessories you’ll need, such as theSnugg nexus 7 cases– the first thing you need to do is work out how you’re going to keep it safe from malware. An article from Gizmodo offers a number of useful hints and tips when it comes to protecting your Android device from malware. It notes, first of all, that Android is somewhat more susceptible to malware than iOS, although some basic common sense should enable you to protect your device from malware. Setting a lock screen is worthwhile to begin with. It is worth noting that this won’t render your device completely secure – it isn’t impenetrable – but it will offer you some protection against casual attacks. You should have a number of lock screen options – including password, PIN, pattern and face unlock – and while setting a password may involve the most fiddling around, it’s also the most secure. Secondly, you should also take a look to find out more about the range of anti-malware programs out there for you to choose from. You should find quite a few anti-virus programs for Android, and installing one of these can provide you with additional protection from malware. Many of these anti-malware programs are available completely free of charge, so it’s worth taking a look online to find out more about what they’ve got to offer. Check a few reviews first to find out more about which one is likely to offer you the most protection. Cacheing passwords may save you a few seconds when you’re browsing email and other accounts via your Android device – it’s particularly handy for those of us who seem to have a million and one different passwords and struggle to remember any of them – but it’s also ideal for anyone who happens to steal your phone, as they can access your personal data with minimum hassle. Check your browser’s settings to ensure that it doesn’t automatically save passwords without you realising. 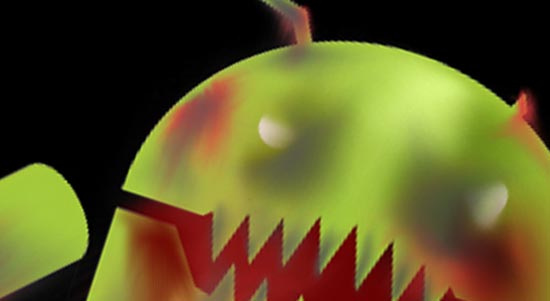 An article from eWeek also offers some pointers when it comes to maximising Android security. It suggests that you may be better off sticking to websites you know you can trust and steering clear of those whose security credentials you can’t be sure about. Furthermore, it also points out that you should keep up with the latest Android security news, so you know which malware to look out for and how you can protect yourself from it.